Motion Control – Stainless Steel And Self Aligning Linear Ball Bearings Are Easily Lubricated Right Inside of LM76’s “New Design” Pillow And Flange Blocks! 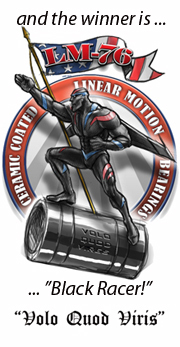 E. Longmeadow, MA Motion Control Components – Linear Motion – Lubricating Stainless Steel and Self-Aligning Linear Ball Bearings has never been easier! “New Design” pillow blocks and flange blocks from LM76, features a lubrication fitting, and an alignment set screw in the pillow blocks and flange blocks, and the Stainless Steel and self aligning linear bearings are modified by having an alignment flat ground on the bearings’ outer shell and drilling a hole through the outer shell. Lubricants can then be pumped directly inside of linear ball bearing races without having to remove the bearing from the shaft. The Pillow and Flange Blocks also have been designed to accommodate an encapsulated ETX Scraper Seals that prevents contaminants from getting inside the bearing and retains the lubricant in the bearing. These “New Design” pillow blocks are available in closed single and double bearing models for inch sized shafts from 0.5 inches up to 2.00 inches and the flange blocks are available in single and double bearing models for inch sized shafts from 0.5 inches to 1.25 inches. They “New Design” pillow blocks are available in untreated aluminum or with a FDA/USDA/3A-Dairy compliant corrosion resistant Electroless Nickel coating. When used with a FDA/USDA/3A-Dairy compliant lubricant the pillow block and flange block bearing combinations are ideal for: Food processing, handling, and packing, bottling, pharmaceutical production and packaging, medical testing or patient handling, and other applications where there are corrosive or contaminating fluids (e.g. fruit juices, biologics, etc. ), or when cleaning with steam and/or caustic chemicals is required. LM76 also produces PTFE, filled PTFE, and ceramic bearing options as well as precision shafting. 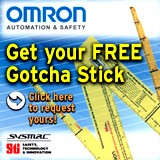 « Motion Control – Complete Guided Motion Solutions from A to X-Y-Z … … Available from Electromate!